How to Book Lahore to Doha Flights? Do you like to spend some time in Doha and visit tourist attractions there? Passengers can buy Lahore to Doha Flight tickets and reserve best hotels in affordable prices. Our company Faremakers gives you discounted proper package for Doha and other 5000+ international destinations. Located in heart of Lahore, our company instantly delivers air tickets at your doorstep. We are extremely delighted to serve our customers in most exceptional manner. You can do booking very easily by entering travelling dates in Flight Search Engine which you will see above of the page. Select cheap air Ticket and pay price of the ticket online effortlessly. We also provide you cheap airline tickets without any extra charges in time of unexpected situation. Doha is economic, capital and world's greatest city. Household earning is highest in the city. Doha is considered number one in list of richest cities of the world. It provides you complete collection of tourist destinations, financial superiority and tallest skyscrapers and much more. Doha is the best city located in the Gulf region. It has some of the notable regions of Qatar like Education City and others etc. There are many conferences, seminars, events which are held in Doha. For visiting this land we suggest, Qatar Airline and different airline tickets according to your need for tickets reservation just call us on our toll-free number (0800-00747). What’s Duration Between (LHR) to (DOH) Flights? It took 4 hours to reach from Lahore to Doha through airplane however later flights can also take much time for going there. Advance Booking is very beneficial for various purposes. Passengers can see the following time period for getting better rates. Once advance booking is easily done, you can plan for other aspects of the journey. What‘s Distance Between Lahore to Doha? The distance between two terminuses is 4,336 km and only airplane can cover this flight. Some of the airlines are very fast and can take the passengers to Doha in few hours. 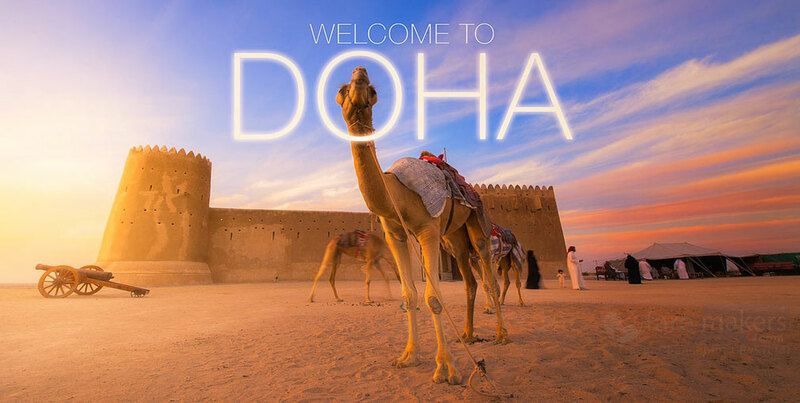 Doha is an instant destination from Lahore. Many of the airlines offer direct cheap flights to Doha. Interesting point of travelling is that there are many direct flights of many airlines are available at the same time. It’s really helpful news for the passengers. There are two airports in Doha which are as following.